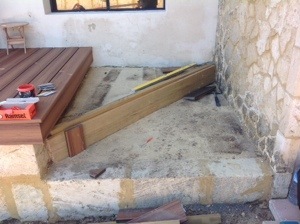 Steve and Michelle wanted a deck that needed no maintenance for the front of their property at City Beach. 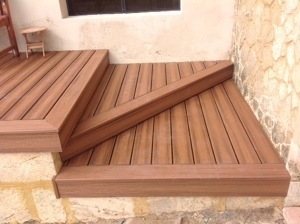 The obvious choice was a composite decking boards and they went with Trex in the Tiki Torch colour. Their choice of colour was perfect ! We secured the framework first ensuring that was all levelled out. Then we boarded up picture framing the deck to give it that clean look. They also wanted stairs made out of the Trex boards which we did as well.